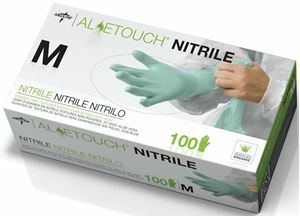 Aloetouch Nitrile exam gloves are designed to protect your hands from harsh substances at the time of treatment. Coated with Aloe Vera, it provides soothing effect. Can be used with chemotherapy drugs. Its textured surface ensures a better grip.